Leslie Harter has been featured in numerous theater productions, prime time television shows and independent feature films. Her credits include Shoe Man, an original play written by actor Jeff Daniels, The Last Laugh written by the creator of the classic sitcom Love American Style, feature filmsDark Nova, Blowback and Encounters, movies of the week and the dramatic one-hour television series Beverly Hills 90210. Harter developed STAAR, a one-woman revue, based on a character originally created by twice gold singer-songwriter Sue Wilkinson. 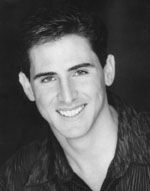 Andy Ferrara has appeared on Broadway and in national and international touring shows. 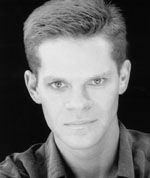 His credits include A Chorus Line, Peter Pan with Cathy Rigby, Mame, Fiddler on the Roof, Bye Bye Birdie, Guys & Dolls and West Side Story. Thomas Garcia has appeared in national and international touring shows. His credits include Knight Life, Peter Pan, Gypsy, The Music of Andrew Llyod Webber, as well as A Chrous Line, West Side Story, Evita, 42nd Street, The Best Little Whorehouse in Texas, Carousel and Showboat. Garcia also serves as choreographer. 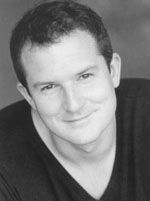 Andrew Makay has appeared on Broadway and in national touring shows. His credits include Joseph and the Amazing Technicolor Dreamcoat, The Grave White Way, 42nd Street, Damn Yankees, 7 Brides for 7 Brothers and Singin' in the Rain. 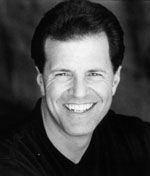 Greg Schneider has appeared in national and international theater shows. His credits include an eight-year stint as Prince Charming in numerous live shows and parades at Disneyland and Tokyo Disneyland. Producer Donnalee Austen has worked on over 100 projects with award winning directors such as Ridley Scott, Michael Bay, David Lynch and Simon West, to name a few. Her credits include The Sopranos, NASCAR, The Rolling Stones, Budweiser, Los Angeles Dodgers and AOL Time Warner, among others. Executive Producer Robert Zemeckis is an Academy Award® winning director who has helmed some of the biggest grossing comedies of all time. His directorial credits include Romancing the Stone, Back to the Future, Who Framed Roger Rabbit, Death Becomes Her and Forrest Gump.